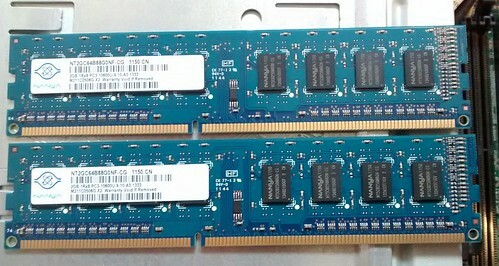 What’s filling your RAM? Probably a to-do list and a notepad app. Why, though? Photo by osde8info on Flickr. A selection of 12 links for you. Because it’s Friday. I’m @charlesarthur on Twitter. Observations and links welcome. The way the Alexa integration works is pretty clever: when you set it up, it will get paired to your Alexa system as “the microwave,” and then you can command Alexa to, you know, cook stuff. There are very few buttons on the microwave because all the presets for various food types have been stored in Amazon’s cloud instead. The fun feature is the popcorn, though. When you set it up for the first time, you’ll have an option to sign up for a subscription to buy microwave popcorn from Amazon. Then, as you pop it, Alexa will keep track of how many times you have said, “Alexa, make popcorn,” and it’ll reorder automatically when you’re running low. There’s also a popcorn button on the device. Is all this worth $59.99? Sure, it’s a pretty dead-ahead 700W microwave after all. It’s black and boxy and simple. I don’t have a lot more to tell you about the hardware. It has a rotating tray on the inside. There are vents and a metal enclosure. It ships on November 14th. Bohn meets the ultimate gadget that is beyond the capabilities of tech reviewing. Whether it’s secure… one has to hope so. Amazon seems to have given us a glimpse into some of its new, unreleased products. Listings on Amazon UK show a new Echo Sub, a subwoofer designed to work with Echo speakers, and a new Amazon Smart Plug, a socket adapter with Alexa capabilities, both with an availability date of October 11. Amazon has since removed the listings, but reports from Pocket-lint show images and details of the two new devices. The Echo Sub looks like a fatter version of Amazon’s Echo speaker, almost like a clone of Apple’s HomePod. The wireless subwoofer includes a 6-inch down-firing woofer and 100W of bass, tech that would certainly improve the quality of existing Echo speakers. Some complained after Amazon released the updated version of the original Echo last year, claiming its sound quality was subpar. Listed within the device’s description is stereo pairing, a feature that hasn’t been available to Echo speakers yet. Currently, users can only group multiple speakers together to fill a room with sound, but they won’t get that rich, complex left/right stereo sound. It appears that will be possible with the Echo Sub connected to two compatible Echo devices. Stereo pairing and subwoofers are all becoming standard very rapidly: Sonos might have something to worry about. After years in which its combination of sound quality, streaming capability and variety set it apart, it’s being caught up at the top and bottom by Apple and Amazon. Is there room for it in the middle? 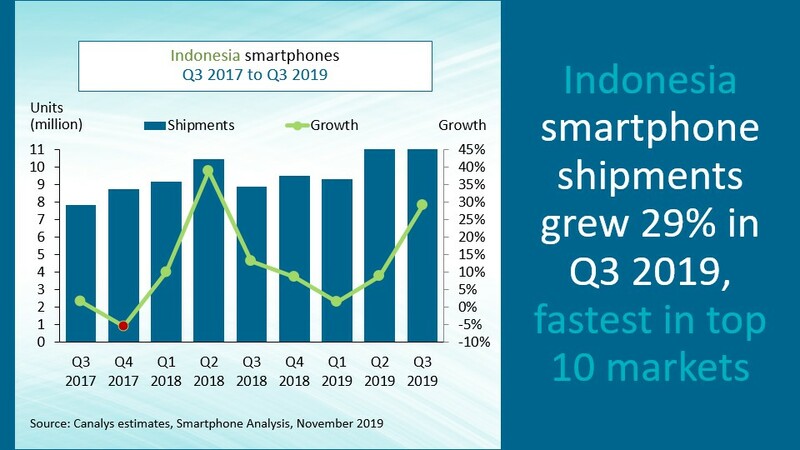 One% growth! Hang out more flags! At a news conference Thursday in Brussels, Vera Jourova said that she received an “influx of hatred” on the popular platform and decided to cancel her account as a result. “I don’t want to avoid communication with people, even with critical people,” she said, noting her decision to leave Facebook was not to avoid public criticism. Her mailbox is filled with critical comments, she said, and she responds to those people who don’t use vulgar language. “This is my nature, I speak to everybody who wants normal, honest, descent communication.” Euractiv earlier reported on Jourova’s remarks. …but she’s staying on Twitter. • There were no payouts for our highest possible reward: a complete remote exploit chain leading to TrustZone or Verified Boot compromise. • 99 individuals contributed one or more fixes. • The ASR program’s reward averages were $2,600 per reward and $12,500 per researcher. • Guang Gong received our highest reward amount to date: $105,000 for his submission of a remote exploit chain. That’s quite a healthy average payout; some way short of earning a living, but if you were to do this across multiple platforms (Google, Facebook, Twitter, Uber, Apple, Microsoft all have bug bounty programs, as do others) then you could. The question is, is the value of these exploits as paid by Google greater than their market value? It does seem pretty obvious that you’d offer the priciest phone first, so you can mop up all the eager buyers. But you can’t just write a story speculating that for the WSJ; you need to actually ask the people who know. Which is what they did. After the iPhone 8 last year, and the iPhone 5C v 5S in 2013, Apple seems to have figured out what it’s doing. Though it seems odd if it really took that much figuring out. 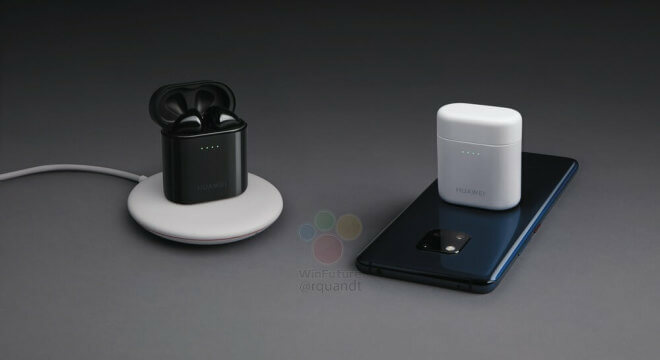 Roland Quandt, a mobile device leaker with a strong track record, shared images of two upcoming Huawei products on Twitter earlier today. That is such a shameful ripoff. Could Huawei really not think of any other design? Seriously? After two years? Apple builds a score based on the number calls and emails you send and receive – to help spot fraudulent transactions made using your device. So how does it actually work? Apple has a bunch of different anti-fraud systems in place to work out whether payments you make are legitimate. One of these, added in the new iOS 12 update, is a numeric trust score that’s associated with your device. This score is sent directly to Apple when you make a purchase. Importantly, when Apple sees the score, it doesn’t see the contents of your communications. It’s not reading your emails, for instance. These scores are also encrypted in transit, which means anyone who managed to intercept them would only see gibberish. Apple says it holds onto the scores for a limited period of time, although it’s not clear how long that is. Clever. It all goes into a single number. Plans to replace the city’s payphone booth network with Wi-Fi-enabled kiosks were first announced by de Blasio in 2014. Less than a year later, the city awarded a contract to a chameleon-like consortium of private companies known as CityBridge. It was an attractive deal: LinkNYC kiosks, at no cost to the city, would provide free internet coverage to anyone walking by. CityBridge, in turn, would be responsible for the installation, ownership, and construction of the devices, with plans to earn back its expenses through advertising. The twin 55in displays will eventually carry targeted ads derived from the information collected about kiosk users. The key player in CityBridge is known as Intersection, and one of Intersection’s largest investors is Sidewalk Labs, with whom it also shares the same offices and staff. Sidewalk Labs CEO Daniel Doctoroff is the chair of Intersection’s board. Sidewalk Labs is owned by Google’s holding company, Alphabet Inc. In other words, the plan to blanket New York City with 7,500 camera-equipped obelisks has been largely underwritten by the company formerly known as Google — a corporation whose business model depends on selling your personal information to advertisers. In fact, over the last decade, the web has not only failed to become the Semantic Web but also threatened to recede as an idea altogether. We now hardly ever talk about “the web” and instead talk about “the internet,” which as of 2016 has become such a common term that newspapers no longer capitalize it. (To be fair, they stopped capitalizing “web” too.) Some might still protest that the web and the internet are two different things, but the distinction gets less clear all the time. The web we have today is slowly becoming a glorified app store, just the easiest way among many to download software that communicates with distant servers using closed protocols and schemas, making it functionally identical to the software ecosystem that existed before the web. How did we get here? In a December press release, Mobike claimed 200 million users worldwide. That figure has been repeated often, with the most recent example I could find coming in July. With 48.1 million Active Bike Users, 7.1 million Active Bikes and over 1.0 billion rides completed in the four months ended April 30, 2018, Mobike is a leading player in bike-sharing. Let’s skip past the fact that Mobike was claiming nine million bikes, not the actual 7.1 million, and look at that last data point: 1 billion rides. In October, Bloomberg cited Mobike’s statement that it was “the clear leader in the global bikesharing industry, supporting 30 million rides in 180 cities around the world every single day” (emphasis added). Just a month earlier it was telling the world it “supports over 20 million rides every day” (emphasis added). With 119 days during the period cited in Meituan’s prospectus, Mobike was actually averaging 8.4 million trips daily — 70% fewer than it had been claiming. I get the feeling that Culpan is tired of being lied to by these companies. So the fact that their prospectus has to be truthful is amusing. ??? You had me double-check (off Google first page results for “is the apple speaker better than sonos ?”): except Cult of Mac, pretty much all reviews rate Sonos better than Apple around the same price for pure sound quality; plus you get a better Assistant and a lot more streaming services, as well as a range of devices and prices. How is that “above Sonos” except for the iBubbled ? The way anything Apple does gets promoted to “best in class” even when reviews and tests say otherwise is incredibly insidious, and dispiriting. Huawei’s ripoff: I’m curious, once you decide to put the mike in a kind of leg, how different can/would you make the design ? 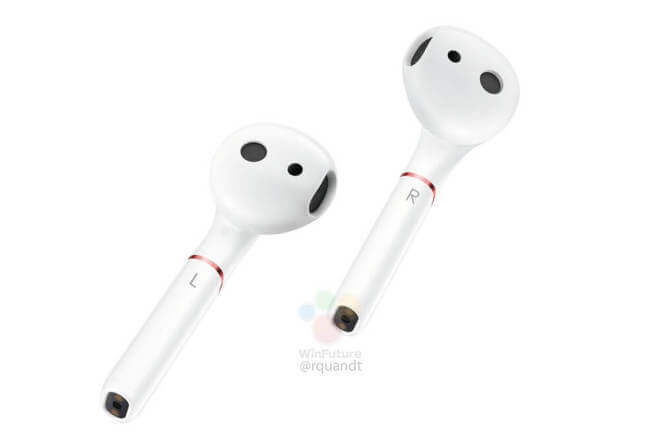 There are voluntary visual cues (the square grille, the bronze ring) than these aren’t AirBuds, but, same as for wired airbuds and phones, function dictates form, they all look the same, I can’t think of any way to differentiate legged wireless earbuds except via that kind of small aesthetics detail. There are plenty of true wireless earbuds w/o the leg, I’m guessing the leg offers better voice recording and ambient noise reduction. And all buds of this type will look the same. It’s funny how anything that vaguely looks like something Apple started gets called out for it (even when they add visual differentiation), yet nothing Apple copies (large screens, metal unibody, homescreen gestures, buttonless phones…) ever gets remarked on.